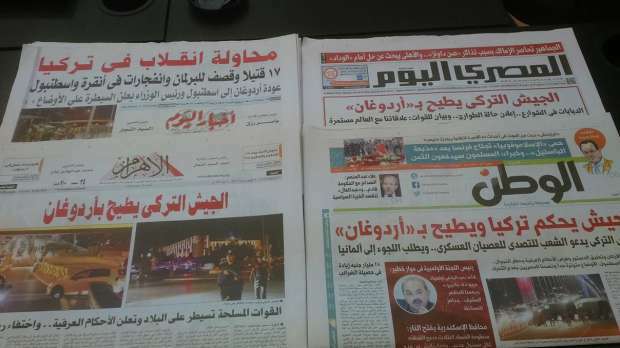 Egyptian Chronicles: Egyptian Media and Turkey's attempted coup "Updated"
Egyptian Media and Turkey's attempted coup "Updated"
"The Turkish army ousts Erdogan" This was State-owned Al-Ahram newspaper's front page's bold red headline in the second edition of Saturday's issue. "The armed forces controls the country and declares martial laws, Recep Tayib disappeared" Those were the second bold headlines in black. The first two editions of Egypt's most popular and semi-official newspaper claimed that the coup succeeded despite all news and indications in the media before 11 PM showed that things were not clear and the story was developing and changed per minute. We did not know how big the coup was already. Updated : It turned out that Al-Ahram newspaper got a history with failed coups, unfortunately. 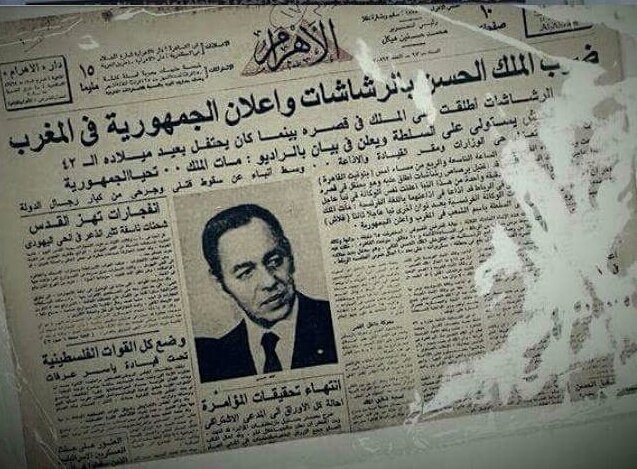 Here was the issue of Al-Ahram newspaper on 17 August 1972 declaring the Moroccan Republic after General Oufkir's infamous coup which failed actually !!!!!!!!! Declaring the Republic in Morocco !! Almost all Egyptian newspapers followed Al-Ahram newspaper's steps on Saturday and published news reports in their Frontpages about how successful the Turkish coup was !! Only Shorouk Daily newspaper was more professional in its headline speaking about the unrest in Turkey and that's it. ِِState-owned Akhbar Al-Youm was accurate as well staying on its Front Page "A Coup attempt"
Some will say that Egyptian newspapers rushed in without paying attention to the fact that there were not enough or clear information on what is going in Turkey Friday night. This is so bad as well shameful as we are not in the 1960s anymore for God's sake !! Nevertheless , it was even worse in Egyptian TV night talk shows where the TV hosts did not hide how they gloated over that a coup that ousted Erdogan hosting at the same time clueless guests and so-called strategic experts. Infamous TV host Ahmed Moussa already welcomed and cheered on Friday in a special episode of his show "The revolution of the Turkish army" !! Moussa was not supposed to be on air on Friday. Anyhow on Saturday, he attacked the Turkish army and sent a message to its commander that its reputation hit rock bottom !! I wonder if anyone in the Turkish army from the highest to lowest rank really cares about what an Egyptian TV host , let alone someone like Moussa says about their conduct in that event now or at any time !! Other TV hosts followed the steps of Moussa whether on TV or online through their Twitter accounts and Facebook accounts. I know that they act and gloat like that because of the cold relations between Erdogan and Sisi because of the Muslim Brotherhood despite there were signs that the two could reconcile. 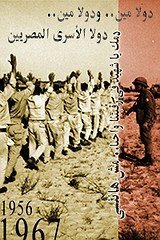 "Not anymore but rumors spread in Cairo that Tel Aviv wanted better relations between the two countries in the past two weeks"
Ousting Erdogan in a coup will be the perfect and ironic scenario to prove that the military option is better than democracy. You may think that those TV hosts and newspapers were acting independently as the Egyptian ministry of foreign did not comment positively or negatively about what is going on in Turkey on Friday. It is a perfect thing, to be honest . But on Saturday , we found out that Egypt blocked the UN security council condemnation statement over a silly wording problem. 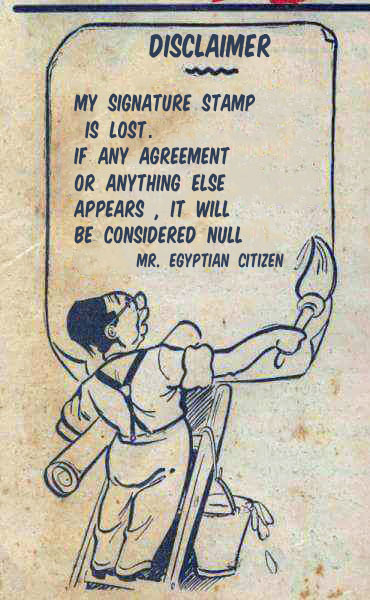 It turned out that Egypt did not approve the phrase "respect the democratically elected government of Turkey " and wanted instead "Constitutional and law principles" !! I do not understand what the problem was "elected government of Turkey" !!? Already , Egypt recognizes the current official elected government of Turkey despite the extreme bad relations between Egyptian and Turkish government over the ouster of Mohamed Morsi. Does the Egyptian government think that it would force Erdogan to recognize El-Sisi as the President and what happened on 30 June a revolution through this !? The Pro-regime supporters say that this statement will enforce Erdogan to respect the law when it comes on his crackdown on the dissidents. I have got no idea except Egypt looks so bad now !! Military coups won't bring stability or democracy to anyone and I think the whole world knows that. Two wrongs will not fix anything. Erdogan and his government did huge mistakes but if you want to get rid of them then through democratic free elections. Turkish opposition and people raised the bar yesterday. Turkey won't be the same. The Egyptian mainstream media is seriously in a big trouble. 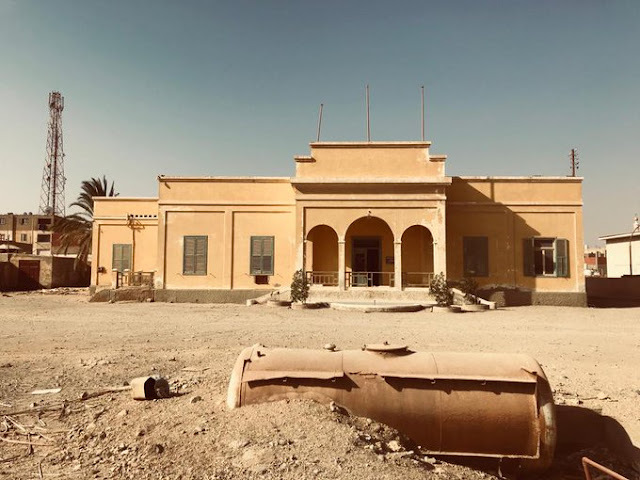 It is not a secret that people returned once again to watch Arab and Western news channels to see what is going on thanks to the unprofessional coverage and bias of Egyptian TV channels. 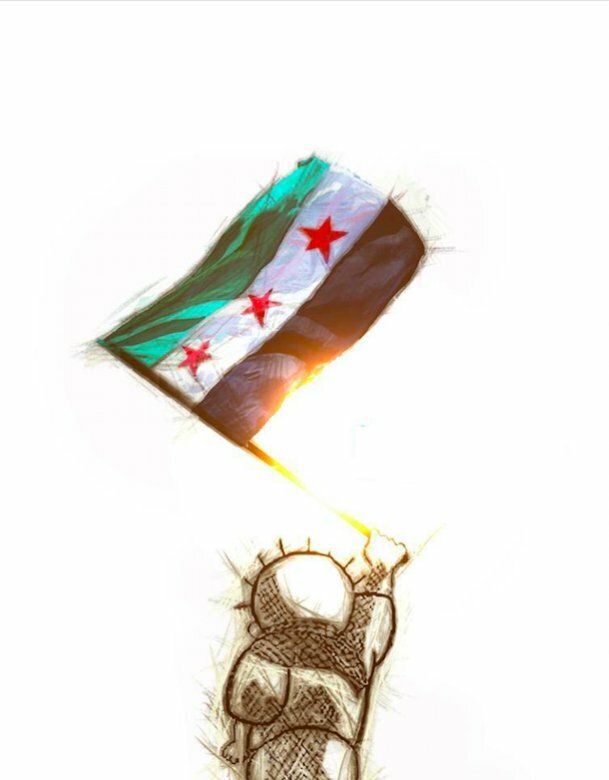 Do not trust Eyptian Media...Sadly.